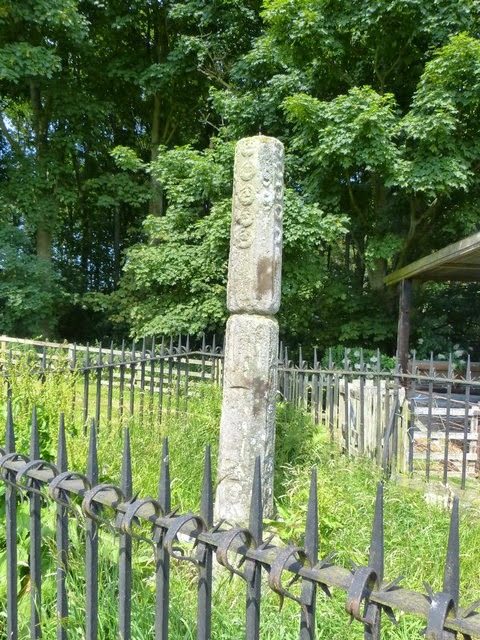 There are two monuments which go by the name of Percy’s Cross in Northumberland. One commemorates the Battle of Otterburn of 1388; the other – and the subject of this article – is situated about 4 miles north of Glanton, near to the site of the Battle of Hedgeley Moor. The encounter resulted in an important Yorkist victory over their Lancastrian foe in April 1464 during the Wars of the Roses – the triumph enabling the Scots to safely travel south to conclude an agreement with the Yorkists. Several nobles took to the field, of course, including one Sir Ralph Percy who had thrown in his lot with the wrong side. This enigmatic utterance has kept the historians guessing over the years, but is now thought to have meant that he died an honourable death by remaining loyal to his cause until the very end – “keeping safe the bird in thy bosom” being a metaphor of the time for such shows of fidelity and allegiance in the face of adversity. Curious, then, that Percy and his family should have so regularly switched sides during the wars! Near the spot where Sir Ralph fell was thereafter erected a stone cross in his honour carved with Percy emblems, the head of which is now missing.